Janine has worked for Search since 2010 and is responsible for leading the marketing strategy of the organisation across the UK as well as brand and product development. Skilled and experienced at building, improving and delivering marketing teams and strategies in the recruitment sector, Janine previously worked for Hays and Reed before joining Search. An Oxford graduate, Janine has over 10 years of strategic recruitment marketing experience and during her career to date has led a range of high profile marketing campaigns. Janine played a significant role in Search’s involvement as the official recruitment consultancy of Glasgow 2014 Commonwealth Games. 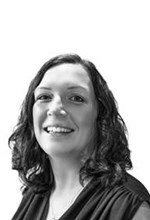 Although Manchester based, Janine spends equal amounts of time working from head office in Glasgow where the marketing team are based and visiting the 15 Search offices.